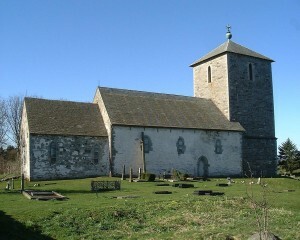 St. Olaf’s church at Avaldsnes was an important stopping place for pilgrims going to Nidaros. "The Five Foolish Virgins". 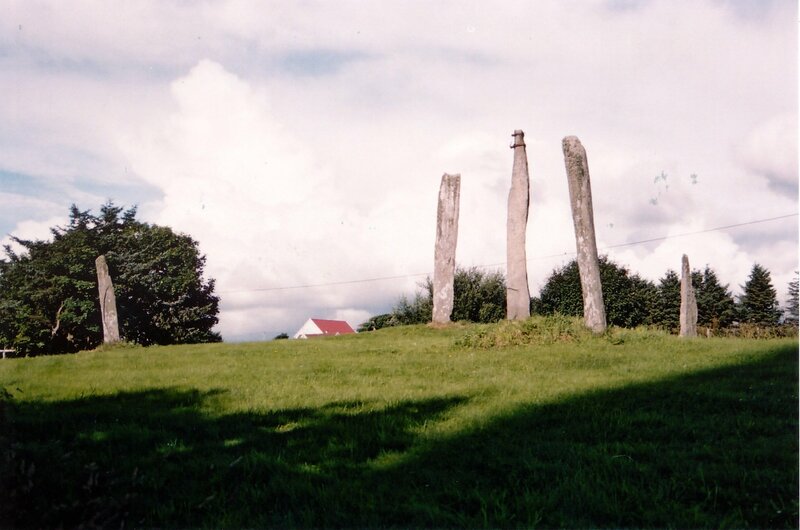 The legend tells that these virgins turned to stone when they tried to lure St. Olaf away from Christianization. 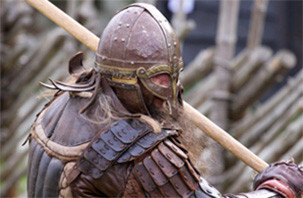 Virgin Mary's Sewing Needle is also connected to the legends circuit about St. Olav. 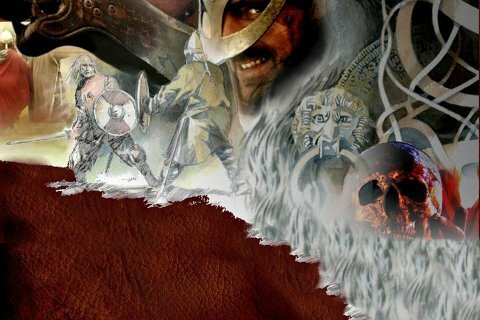 After King Olaf Haraldsson was killed in 1030, miracles began to happen around the dead king, sick people were healed and Olaf’s hair and nails grew as if he were alive. 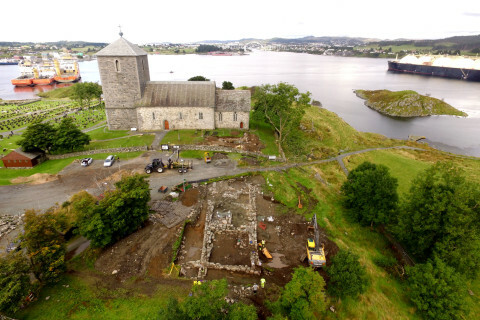 The king was declared to be a saint and many pilgrims visited his burial place in Nidaros. 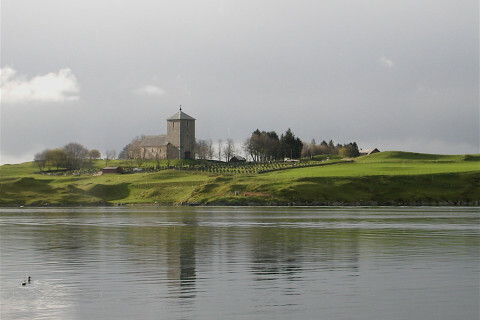 Håkon Håkonsson consecrated his church at Avaldsnes to St. Olaf, and the church became an important stopping place for pilgrims going to Nidaros. 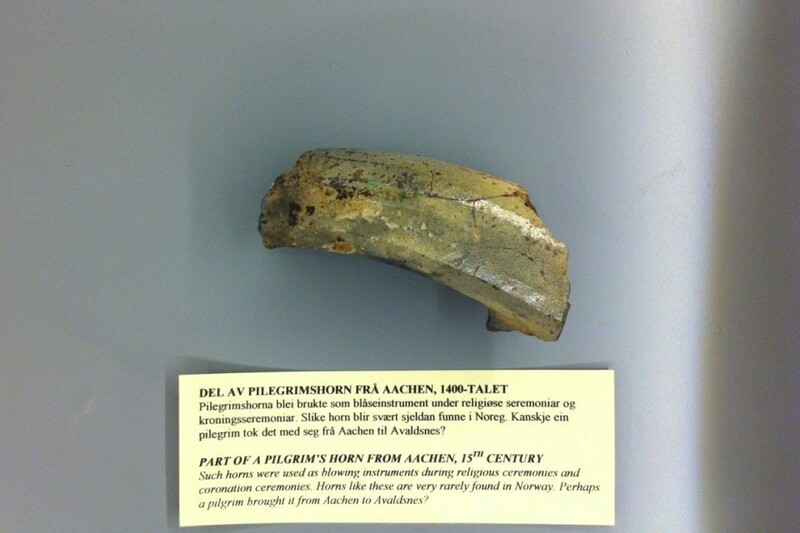 Adam of Bremen (ca. 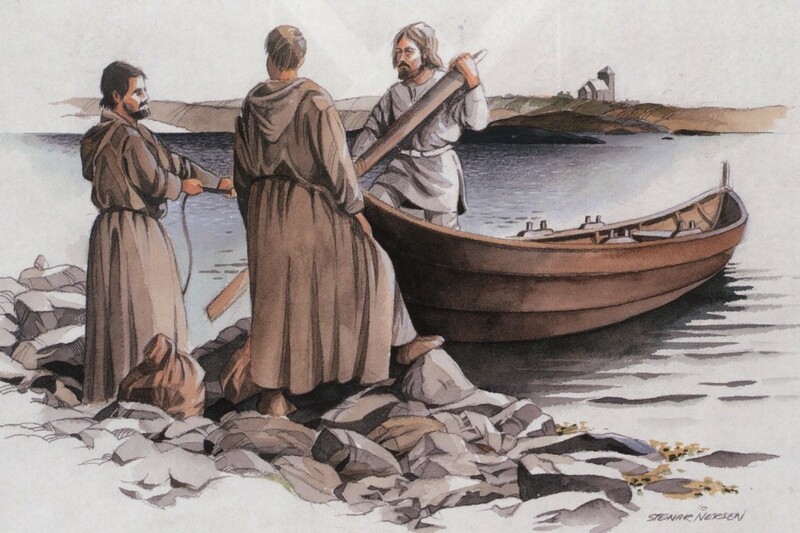 1070) tells that most of these pilgrims travelled by sea, and many of them came to Avaldsnes. 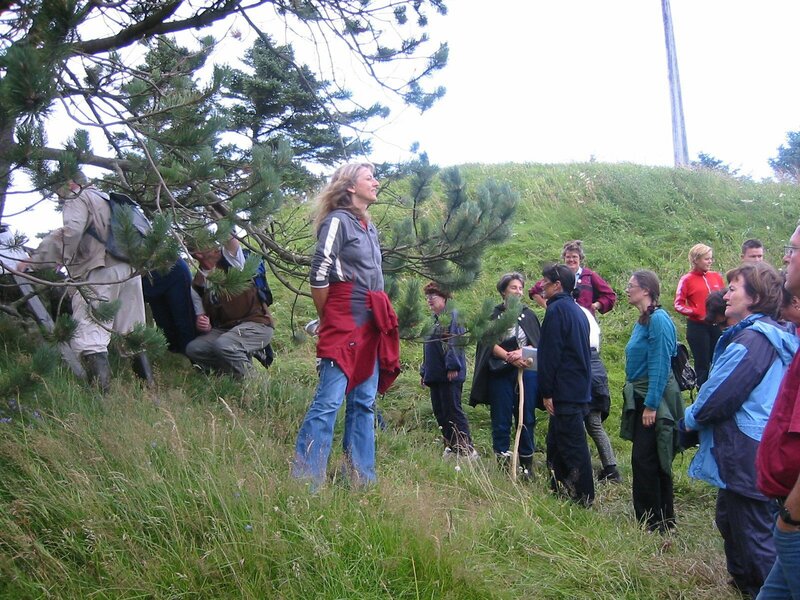 There are still place names and tales from North Karmøy which remind us of this pilgrim traffic. 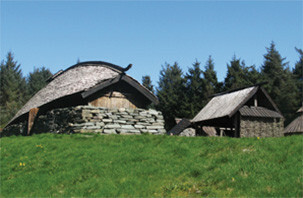 The king’s farm manager at Avaldsnes built a sælehus, – a hostel to house pilgrims and other travellers- where the strait Karmsund is at its narrowest. 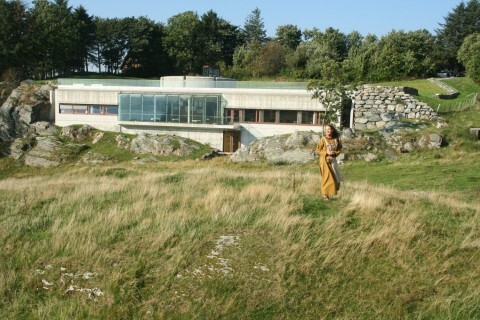 This place is still called Salhus (salu = soul). 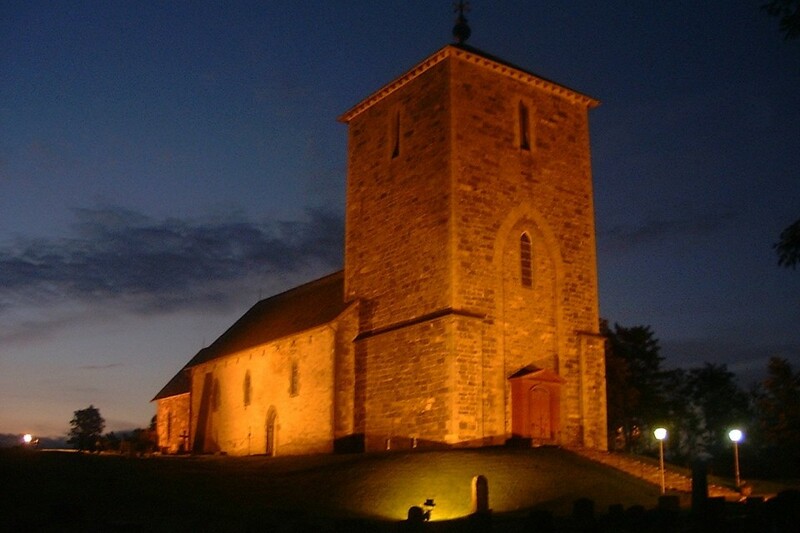 Feginsbrekkå, (= “happy slope” )the first place where the pilgrims that took the land route, could see St.Olaf’s church. 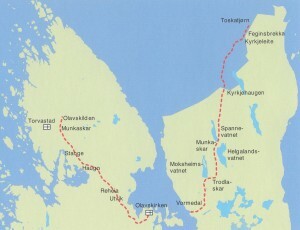 Monkaskar (= the monks’ pass) and Munkhaug (= the monks’ hill). 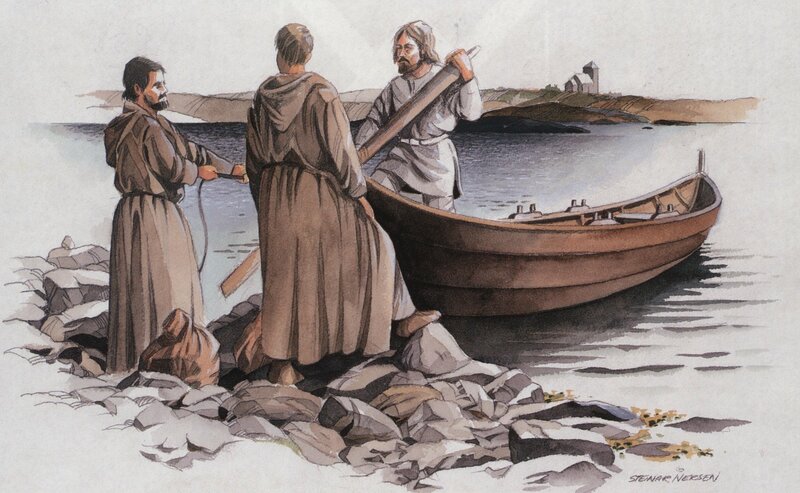 Pilgrims often wore a cloak that made people compare them with monks, hence the name. 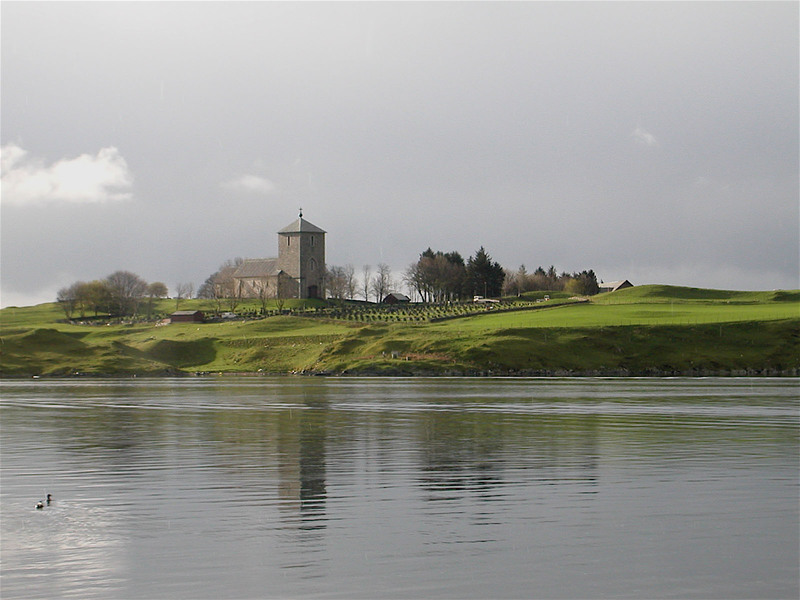 Saint Olaf wanted to build a stone church with a tower on his royal farm at Avaldsnes. But the king had little time to do this himself because he was so busy travelling around the country Christianizing people. Therefore the King made a pact with a giant or a troll who had residence inside one of the ancient burial mounds up on Blood Heights. The agreement was that the troll should build the church, and if he managed to finish it within a certain time, he should be rewarded with the sun, the moon or the King’s soul. The troll started to work, and such underground beings build with magic, much quicker than a Christian man can imagine. The last day before the deadline expired, Saint Olaf became really anxious. It seemed that the troll would complete his task by the deadline and what should the king do? Not even kings can bring down the sun and the moon. How could Olaf save his soul? with the sun and moon to his baby. In that moment the troll cracked. 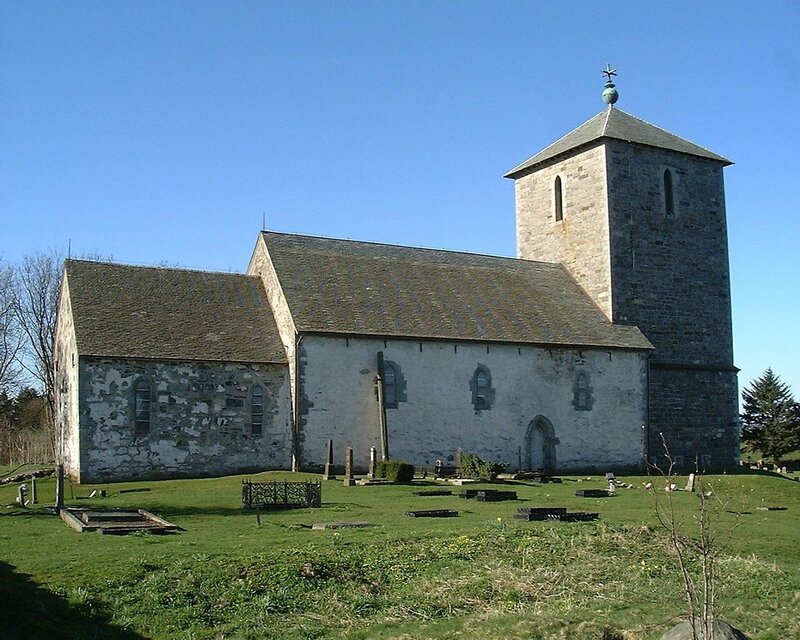 He turned to stone and fell headlong into the soil north of the church. There he is still standing and bear witness that good will defeat evil, just like the King defeated the troll. The legend goes on to tell that judgment day comes upon us when the top of the stone touches the church wall. 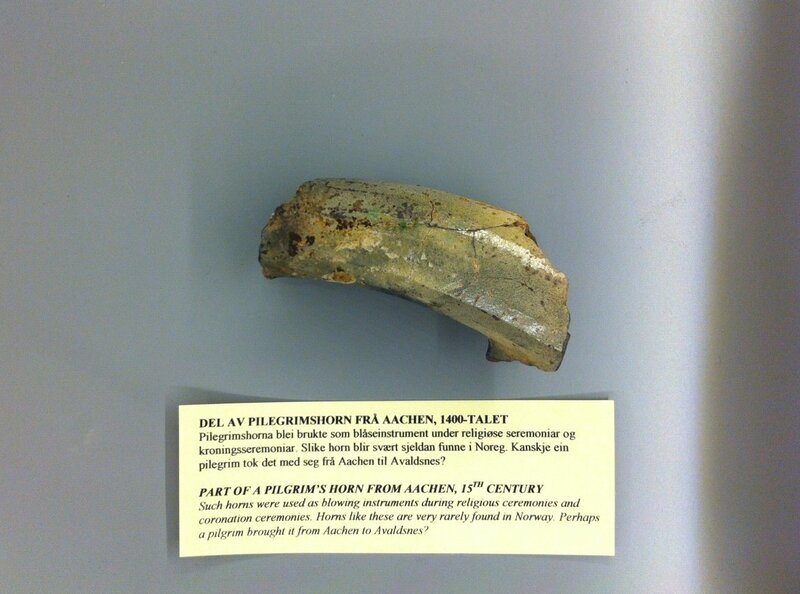 Hence, from far back in time the priests at Avaldsnes have looked after the stone. In dark winter nights, they have climbed up, knocking bits off the top every time he has been dangerously near the church wall. And by doing this, they have saved the world from destruction. Yes, some believe that the priests at Avaldsnes still are doing this. 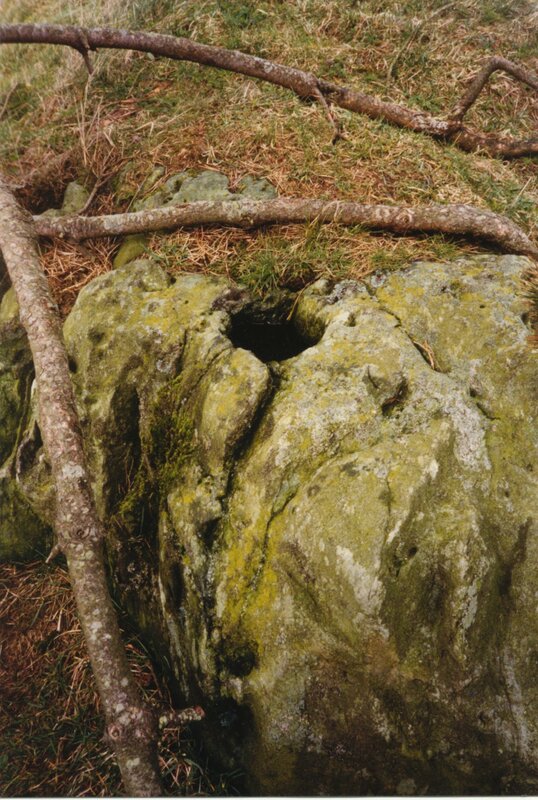 “The Well of St. Olaf” at Karmøy was once a well-known place for pilgrims. The legend claims that King Olaf was followed by enemies through the strait Karmsund. He sailed his ship to the western side of the island. From here the King and his men started to drag the ship over land from Torvastad to Vikingstad. The hard work made them thirsty and the King stabbed his clenched fist in the rock. Immediately it came roaring up clear water so everyone could drink. This well never runs dry and many people have witnessed the healing power of the water which is supposed to be especially good when it comes to curing eye diseases. Pilgrims who drank the water used to put small crosses of wood or straw nearby the well. Several pilgrim jars are found in northern Karmøy. When the pilgrims had filled their jars with holy water, they sealed them with wax. 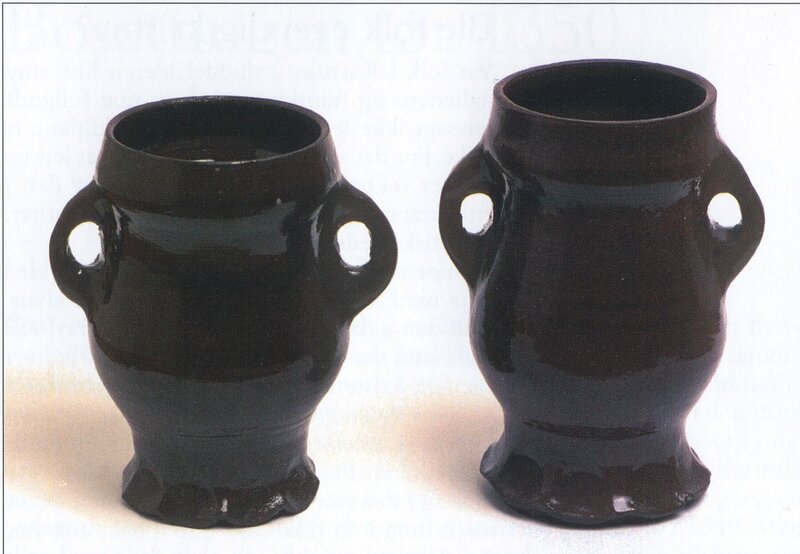 Perhaps it was some pilgrims who had been at St. Olaf’s well who lost these jars? Another version of this legend claims that Olaf’s ship cut right through the hills and made the valley you can see today. Where it glided forward, the sea followed. 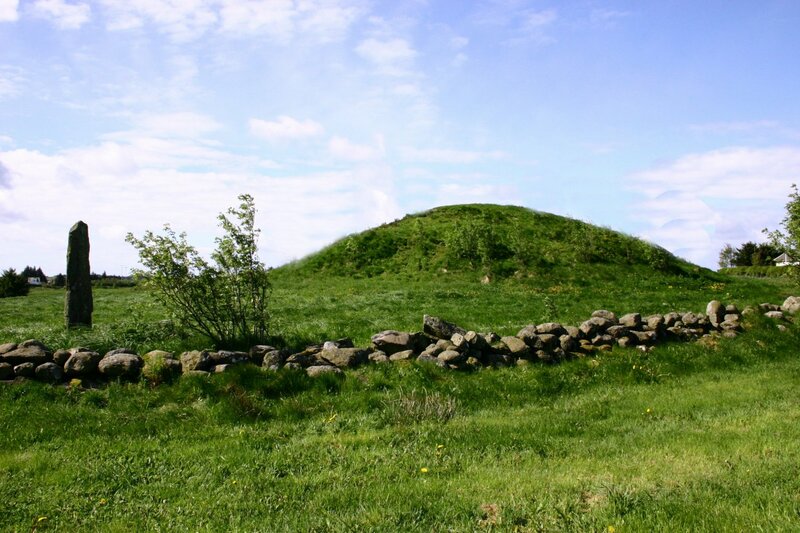 St. Olaf’s well is located in Torvastad but a few hundred meters to the west we find Hovland. As the name suggests, it can have been a pagan hov (temple) here. 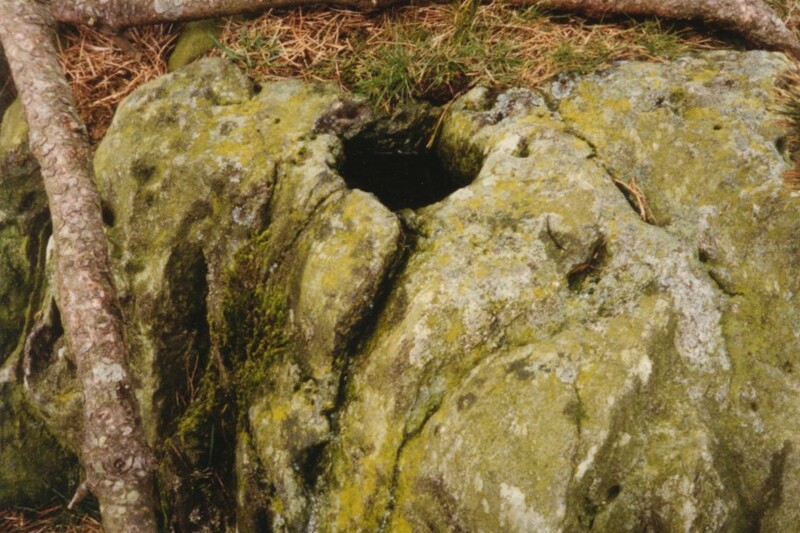 We know that water played a major role in Norse mythology, and perhaps the water in St. Olaf’s well also had a sacred function in Pre-Christian times. 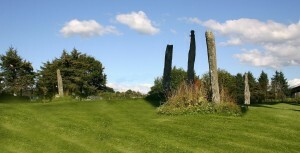 Opposite Salhus, on the other side of the strait Karmsundet, you can see a star shaped cluster of five standing stones. 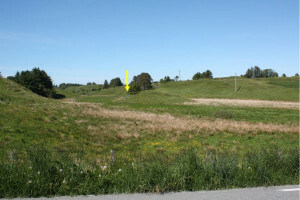 This is a burial place from the Late Roman Period, with the grave in the middle. (ca. 300 AD). 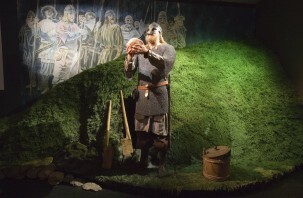 Saint Olaf frequently travelled around the country and Christianized people. 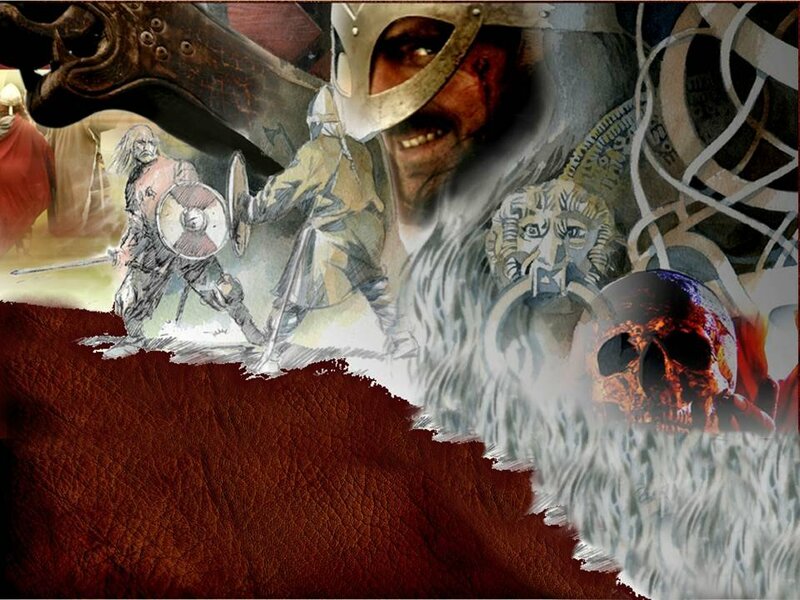 One time he had been up north, and he was sailing his ship back to the royal estate at Avaldsnes. When he passed the narrowest point of the strait Karmsundet, he saw five haughty girls standing on the mainland side and waved at him. The King, however, didn’t allow himself to be tempted. Instead he cried out: “Now, stand there and turn to stone, until I come back again”. Immediately the virgins turned to stones. 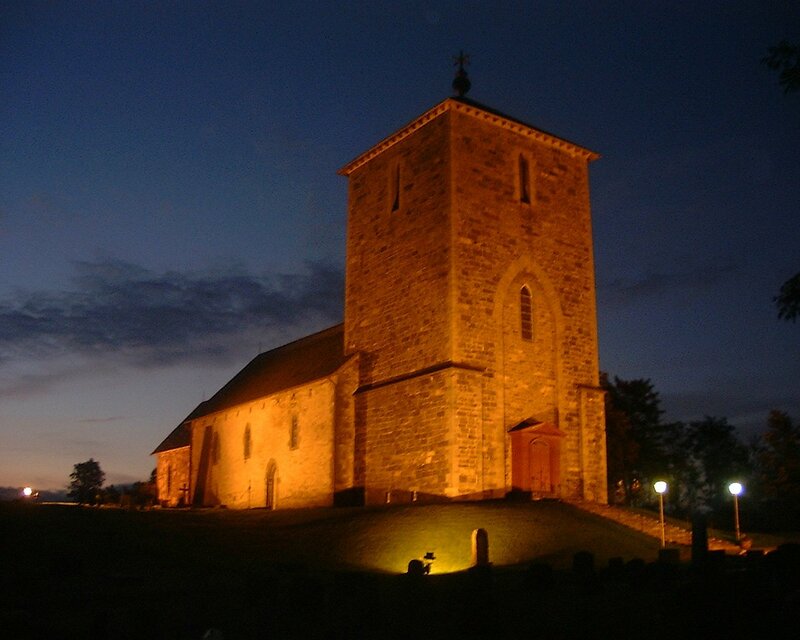 They are still standing there, looking over the strait Karmsund against St. Olaf’s church, waiting for the King to return. Tradition also claims that this star shaped cluster of stones is part of a religious / magical calendar system. St Olaf’s Festival at Avaldsnes takes place each year around Olsok (“Olaf’s Wake”- 29th of July). 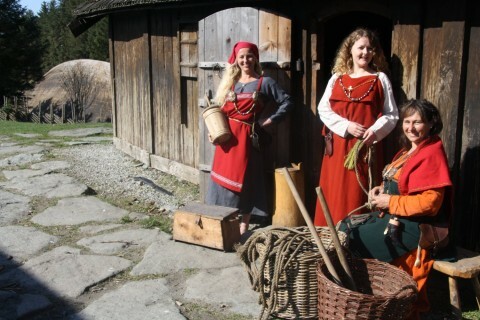 Regular features in the Festival are: Pilgrimage, concerts, service St. Olaf church and seminars. 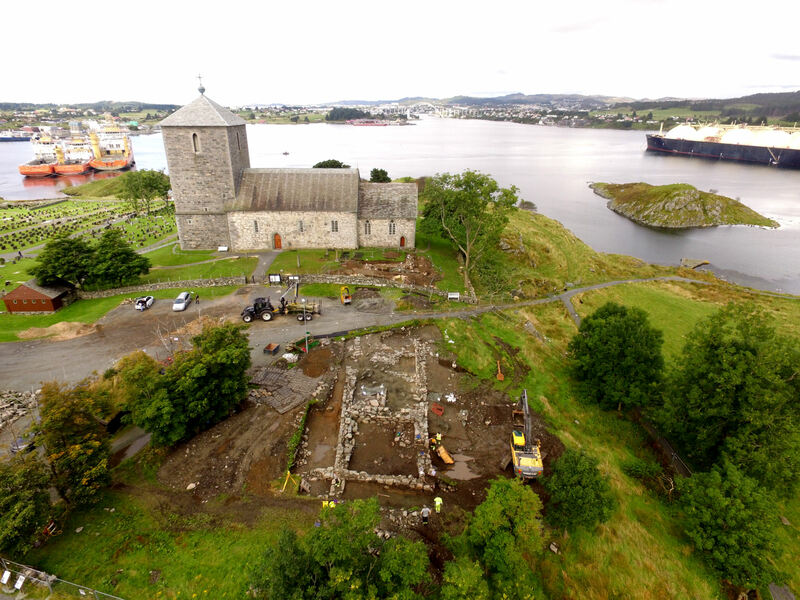 Avaldsnes and St Olaf’s Church is part of the Coastal Pilgrim Trail that now is being revitalized. 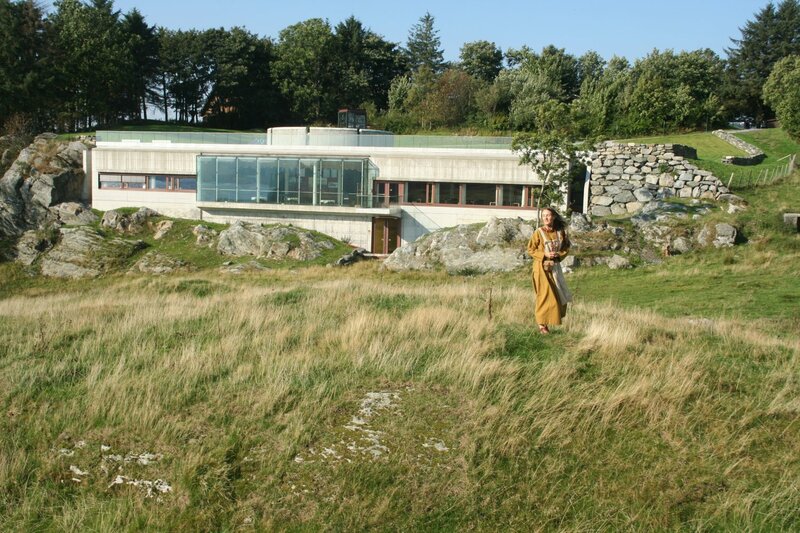 This is done as a collaboration between The Directorate for Cultural Heritage, the five coastal counties from Rogaland to Sør-Trøndelag, and the four diocesan councils in the same area.